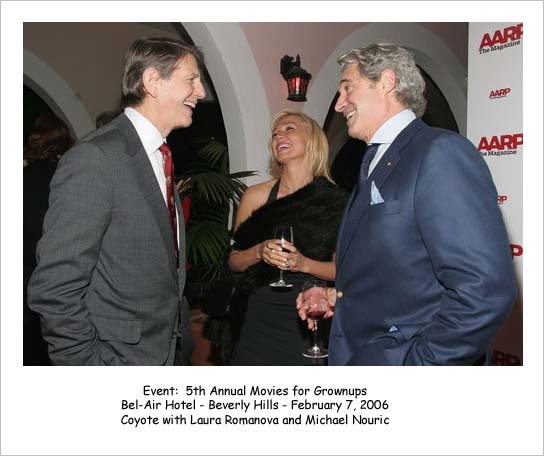 20th Century Fox Entertainment has announced its DVD premieres for 2006 and among them is BEHIND ENEMY LINES II: AXIL OF EVIL with OC star Nicholas Gonzalez, Coyote and David Keith, reprising his role from the original film, which also starred Gene Hackman and Owen Wilson. Filmed in Bulgaria last October, the film centers around a North Korean nuclear conflict. The DVD will be released in either June or July. According to an ABC release late Friday, COMMANDER IN CHIEF will return on April 18 and run through May. It was originally scheduled to return in February during the sweeps. 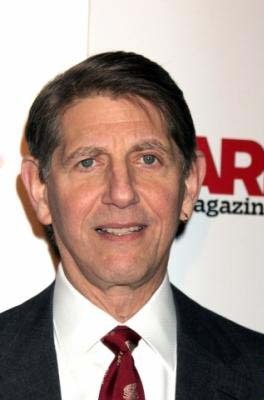 ABC exec Jeff Bader said, "We believe in 'Commander in Chief' and want to do what we think is best for its long-term prospects. With this new schedule, the show will return with a healthy run of seven straight episodes in the spring." According to WENN: "COMMANDER IN CHIEF Takes a Break - The presidential drama has been temporarily pulled from the ABC-TV schedule because network executives are unhappy with the show's low ratings. The drama has received critical acclaim and actress Geena Davis, who plays President Mackenzie Allen won a Golden Globe for her performance, but that isn't making the show a hit. Network executives say the series will return later this spring, insisting it's not unusual to take a show off the air and try another new show in its time slot." Baltasar Kormákur's A LITTLE TRIP TO HEAVEN will not only be screened at Sundance this month, but will also be among the eight films in the Nordic competition at the Göteborg Film Festival (January 27-February 6). According to the Iceland Review, the film's distribution contracts are bigger in scope than previously seen for an Icelandic movie. 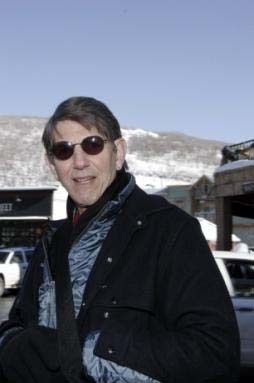 Sales have increased since it was selected to screen at Sundance with the film now sold to over 40 countries. A contract with Spain's Eurocine Films entails that the film will open in 100 movie theaters and that tens of millions will be invested in promotions and marketing. The film has already been sold to all of the Nordic countries, to countries in the Middle East and to Brazil. Negotiations are underway with distributors in the U.S., U.K. and elsewhere. It opened in Iceland on December 26th. 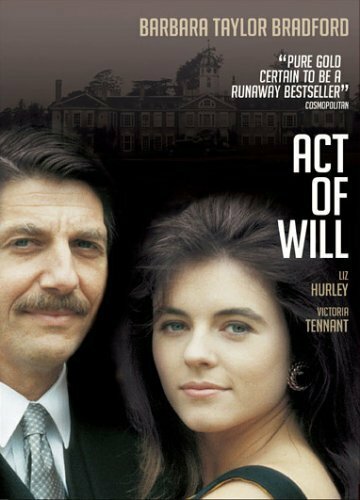 Back in 1989, Peter starred in a British TV mini-series called ACT OF WILL with Elizabeth Hurley and Victoria Tenant. Up until now, it has not been available on VHS or DVD in this country. Last week the DVD was finally released in Region 1 format (US & Canada). Based on one of Barbara Taylor Bradford's most beloved novels, the four-hour feature focuses on three generations of women in a proud, indomitable family. 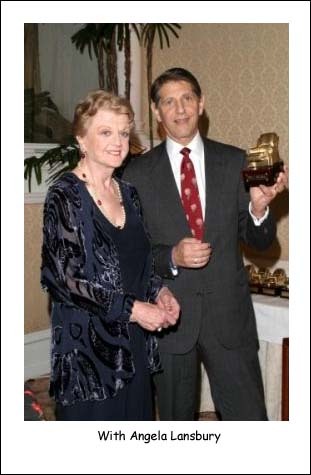 Last month another one of Peter's TV films were released on DVD. If I asked you to name a movie that starred Peter and Liam Neeson, you might not think of it right away, but back in 1987, they starred in a true court drama called SWORN TO SILENCE. Peter plays Sam Fischetti, a lawyer who must defend a man who ultimately confesses three hideous crimes to him. 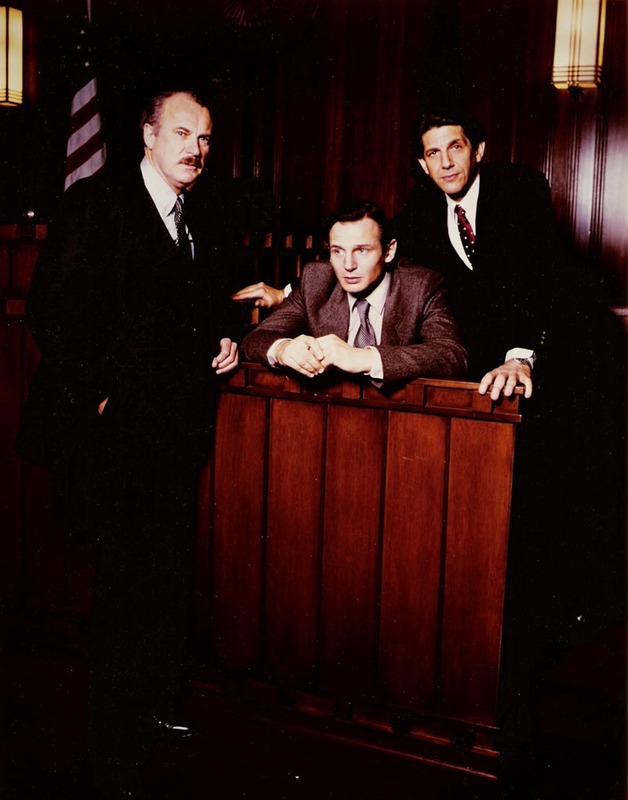 Dabney Coleman deservedly won an Emmy for his role as Sam's "boozy" lawyer friend. 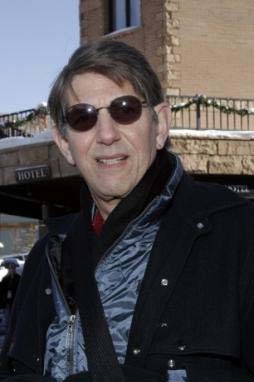 In an interview Peter commented, "I see Sworn to Silence as almost a personal ethical statement. It comes down to the basic tenet of what it means to be an American. If we choose to throw out our Constitution and Bill of Rights because it gives us a hard time sometimes, that's like canceling our commitment to our nation and to ourselves." 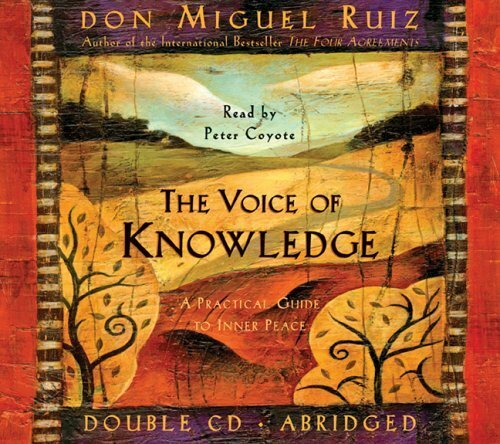 Peter has narrated another audiobook called "The Voice of Knowledge," the abridged edition of the book by Don Miguel Ruiz. The CD was released by Amber-Allen Publishing this year. The synopsis reads as follows: "In this book about personal growth, Don Miguel Ruiz argues that we need to get rid of the voice in our heads that contaminates and sabotages us, which he calls "the voice of knowledge." This voice of others, which we accumulate over our lifetime, makes us insecure. He draws on several key growth points in his own life, as well as on his own reworking of Toltec philosophy, to show how we can, instead, learn to hear the true and healthy inner voice of the spirit. He offers a framework of storytelling for self-empowerment, and shows how we can use the four agreements from his previous book to expand our personal freedoms and transform our lives." 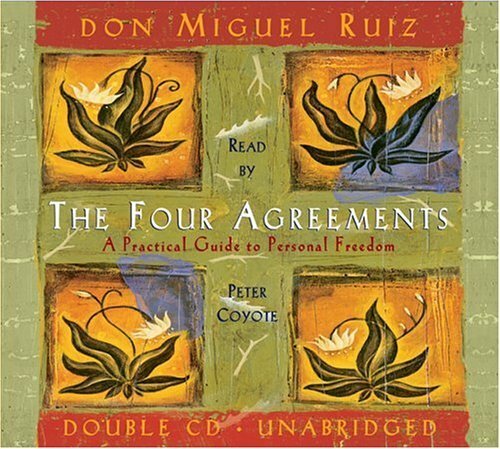 In 1999 Peter also narrated Ruiz's book, "The Four Agreements," which is now available as a CD. Peter has also lent his voice to the two-hour documentary, IMAGINING AMERICA: ICONS OF 20TH CENTURY AMERICAN ART, which will air on PBS on Wednesday, December 28, 2005, 9:00-11:00 p.m.(ET). The film is a journey through the transformations that took place in 20th century America, told through the words and work of some of the century's most significant artists. Through images and interviews with an array of American artists and art historians, IMAGINING AMERICA traces how art, over the course of the century, provided a place in which to re-imagine America, to visualize what we were and what we felt about our country, our society and ourselves. By examining the lives and work of such seminal artists as Georgia O'Keeffe, Jackson Pollock, Robert Rauschenberg and Andy Warhol, this documentary illuminates the evolution of 20th century American art, from pictorial explorations of our vast natural and industrial landscapes, to abstract depictions of our collective psyches, to complex explorations of lives lived in a noisy barrage of visual, aural, technical and cultural data. Good news! The ABC drama, COMMANDER IN CHIEF, has received three Golden Globe nominations! 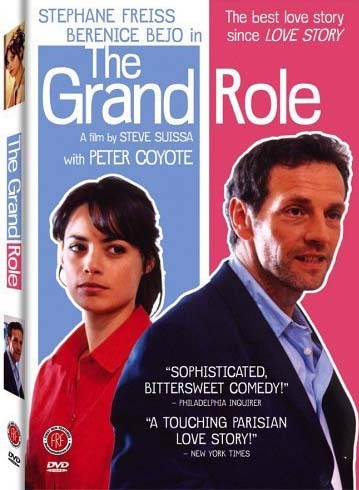 The DVD of LE GRAND ROLE (in French with English subtitles) was released by First Run Features on November 22. It is available in Region 1 format (US and Canada). 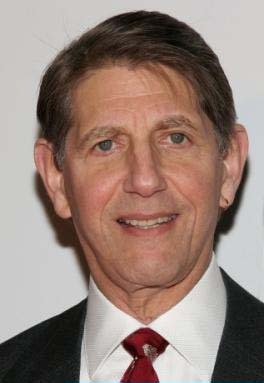 Jewish News Weekly says that Grichenberg, the tall, imposing director in the film, is "deliciously played by Marin County's Peter Coyote. The director is clearly intended to be Steven Spielberg, not because we recognize any of his mannerisms but because no other filmmaker has the clout to finance a Yiddish-language movie." Variety calls it "a crowd-pleasing dramatic comedy about love, friendship, role-playing and Jewish pride…sprightly pace, sunny thesping, fine comic timing.” For more information on the film, click on the above link. This week the 1991 film CROOKED HEARTS was also released on DVD. It's the story of a dysfunctional family that cheers failure. It seems to be the only way they know how to express interest in each other. Peter plays the father, Edward Warren, and his three sons are played by Chicago Hope star Peter Berg, ER star Noah Wyle, and Law & Order: Criminal Intent star Vincent D'Onofrio. His only daughter is played by Juliette Lewis before her breakthrough performance in Cape Fear. Jennifer Jason Leigh plays Berg's kooky girlfriend and Cindy Pickett stars as the mother who tries to bring calm to the family. Crooked Hearts is both humorous and tragic. It's a film worth seeking out for those who are tired of sentimental family movies. Icelandic director Baltasar Kormákur's premiered his film, A LITTLE TRIP TO HEAVEN, starring Forest Whitaker, Julia Stiles, Jeremy Renner and Coyote, at the Toronto Film Festival in September. Now 15 minutes shorter than its previous screening, it is among the 17 films selected for the prestigious Premiere Section at the Sundance Film Festival, held January 19-29 in Park City, Utah. Sold internationally by Katapult Films, the film was released last September in Poland by Swiat and it will open in 2006 in Scandinavia through Sandrew Metronome, in the Netherlands (March 16) through A-Film and in Switzerland through Monopole Pathé. Steve Gravestock from TIFF praised it with "Gorgeously shot and distinguished by a flare for capturing the surreal nature of small-town America, A Little Trip to Heaven abandons noir genre conventions like the femme fatale, the easily corrupted hero and the pervasive sense of moral decay. Instead, Kormákur places his film in a morally nuanced world; here, the insurance companies are as unethical as the con artists - only more monolithic and powerful." 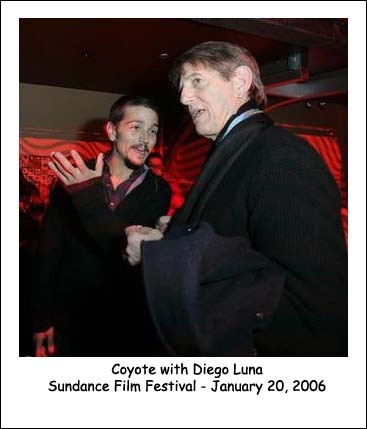 Also being shown at Sundance will be the Coyote-narrated documentary short called THE TRIBE. 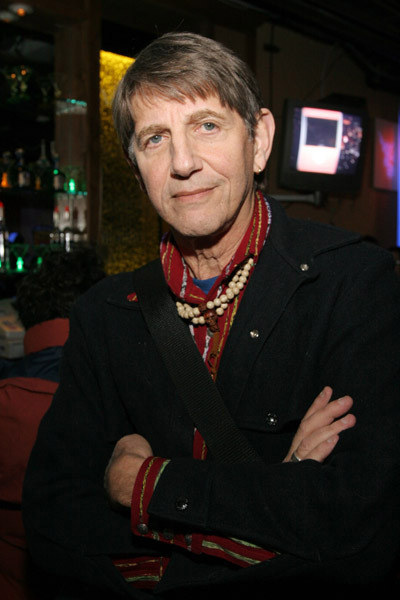 When the film premiered in San Francisco on December 3, a question-and-answer period following the screening, Coyote, having been asked to describe Jew-Buddhists, provided a rationale for a film like "The Tribe'' and, in general, for the search for cultural identity: "If you're not working on yourself, the world is eroding you.'' Athough the Barbie doll may seem to be an Aryan ideal, the doll was the brainchild of a Jewish woman named Ruth Handler. San Francisco filmmaker Tiffany Shlain, founder of the Webby awards, considers Handler's role in creating Barbie one of pop culture's great ironies and explores that notion in her new film, written with her husband, UC Berkeley Professor Ken Goldberg. Last month a luncheon was held at the Ritz-Carlton in San Francisco when the Dalai Lama honored 48 people for their work around the globe. Coyote opened the proceedings and spent some time chatting with one of the honorees, 11-year-old Ben Duskin, who created an Internet video game for children just like him - kids with cancer. 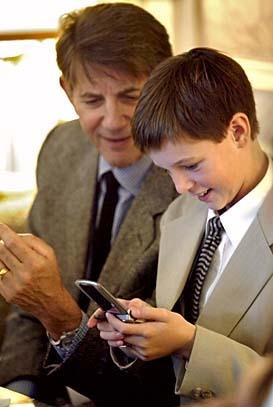 Since then, Ben's Game has received 443,000 hits and been translated into nine languages. According to the SF Chronicle, at one point Coyote yanked out his cell phone to show Ben the nonviolent video game, Jawbreaker, which resulted in Coyote and Ben taking turns playing the game, which you can see in the above photo. 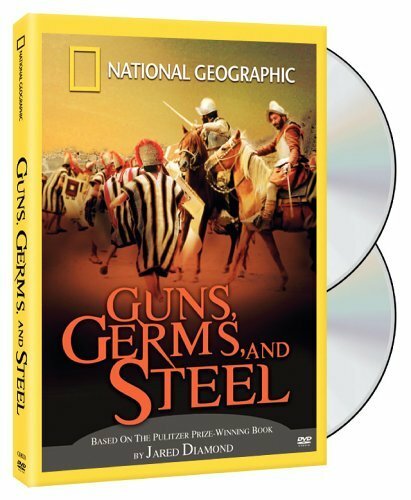 Last July several PBS TV stations aired the three-part series "Guns, Germs and Steel" narrated by Peter. 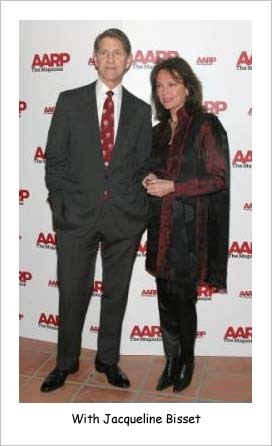 It is now available at Amazon.com as a two-disc DVD. The documentary features Jared Diamond's sometimes controversial theories about the course of human civilization. Diamond's Pulitzer Prize-winning work offers a revealing look at the rise and fall of societies through the lens of geography, technology, biology and economics - forces symbolized by the power of guns, germs and steel. The series spans five continents and uses historical re-enactments to illustrate Diamond's theories, explaining why societies developed differently in different parts of the world - why some became conquerors and others the conquered. Another take on Barbie... Barbie as a metaphor for assimilation and Jewish identity? Sounds odd, but that's the theme running through "The Tribe: An Unorthodox, Unauthorized History of the Jewish People and the Barbie Doll ... In About 15 Minutes." Tiffany Shlain's explain-all documentary will receive its world premiere at 8 p.m. December 3 at the Herbst Theater, 401 Van Ness Ave., San Francisco. 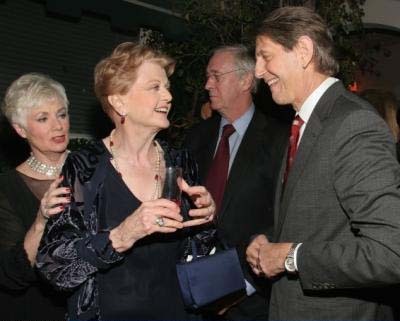 Peter, who narrates the film, will join Shlain and others in a panel discussion after the screening. Admission is $18. Shlain, founder of the Webby Awards, brings in archival footage, animation, graphics, dioramas and slam poetry for her picture, which reaches back to the creation of the anatomically incorrect icon by Ruth Handel, an American Jew. She created the film to explore the dichotomy between her generation's wariness of organized religion and its yearning for meaning and connection. Audience members will receive a DVD of "The Tribe" and its companion guide, "The Guide for the Perplexed." For tickets or information, visit http://www.tribethefilm.com. Last week a documentary called "The Sacramento: River of Life" was aired on Sacramento public TV station KVIE-Ch.6. Narrated by Peter, the film is a one-hour journey into California's past and future. It includes the work of two UC Davis scientists - UC Davis geologist Jeff Mount, who says, "The future of California is joined at the hip with the Sacramento River," and UC Davis Cooperative Extension fish biologist Lisa Thompson. It was inspired by UC Davis alumnus and ardent supporter Charley Soderquist, who lived on the Sacramento River and had deep affection for the Delta region. 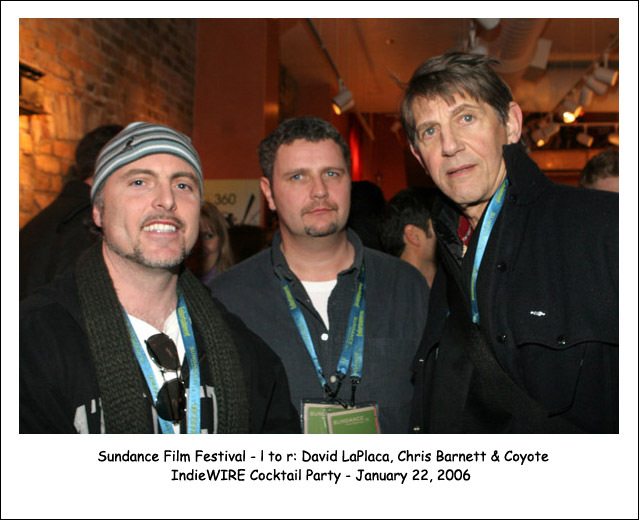 Before his death in 2004, Soderquist urged David Hosley, KVIE general manager, and Lisa Lapin, a UC Davis assistant vice chancellor, to make such a documentary. New additions include more photos from the E.T. 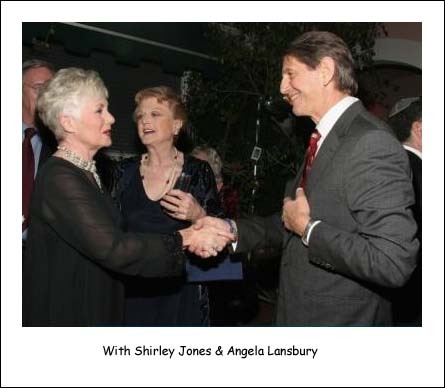 20th Anniversary Premiere and a new gallery for Events of 2005. Two more film pages have been completed - BITTER MOON and EXECUTION OF JUSTICE.